The Best Documentary Photography blogs from thousands of top Documentary Photography blogs in our index using search and social metrics. Data will be refreshed once a week. Documentary Photography newsletter is a comprehensive summary of the day's most important blog posts and news articles from the best Documentary Photography websites on the web, and delivered to your email inbox each morning. To subscribe, simply provide us with your email address. London About Blog A Documentary Photography Blog. British Journal of Photography is the world's longest running photography magazine. Find The latest photography news and features, since 1854. Facebook fans 535,125. Twitter followers 222,453. New Mexico, USA About Blog Chuck Jines is an internationally published documentary photographer and photojournalist. Facebook fans n/a. Twitter followers 3,549. Mexico City About Blog Alex Coghe is a Writer and Documentary Photographer specialized in taking pictures with a straight approach and focused on documenting the human condition. Alex is also a full time educator and instructor, producing and teaching his own workshops and photography expeditions in Italy and Mexico. Facebook fans 5,440. Twitter followers 1,822. New York About Blog A Documentary Photography Blog. Feature Shoot showcases the work of international emerging and established photographers who are transforming the medium through compelling, cutting-edge projects. Facebook fans 82,414. Twitter followers 144,233. About Blog Travel and Documentary Photography Blog. I like to photograph people, to capture "moments" in their lives, from cultural rituals to daily life activities. Facebook fans 405. Twitter followers 315. About Blog A Wedding Documentary Photography Blog. The concept and impetus behind this blog is so awesome. I love the moments in documentary photography: the revealing and in-between bits flesh out the story of the day or the characterization in the stories the photographs tell. Facebook fans 4,454. Twitter followers 1,747. Melbourne About Blog Dean Raphael is a Melbourne Photographer who loves Documenting life's moments. Facebook fans 5,979. Twitter followers n/a. About Blog A Documentary Photography Blog Started in 2015, and now continuing on in 2016, Finding the Light is a monthly photo project focused on finding and using natural light. Mountain View, CA About Blog Comprehensive up-to-date news coverage on documentary photography, aggregated from sources all over the world by Google News. Facebook fans 23,850,199. Twitter followers 213,643. San Francisco, CA About Blog A Documentary Photography Blog. Documentary photography usually refers to a popular form of photography used to chronicle both significant and historical events and everyday life. Facebook fans 1,143,989. Twitter followers 504,943. Los Angeles CA, About Blog John Free is a social documentary/street photographer who lives in Los Angeles. His photographic essays range from railroad tramps in California to automobile abstracts to London and Paris street life. Facebook fans 7,718. Twitter followers 266. Denver About Blog I’m a reactive photographer rather than a proactive one. I’m making my best work when I can come into a session and let people, both big and little, be who they are. I want you to see LIFE in all its glorious messiness in the images we make. I want you to be proud of it all. Life is a miracle. And one that is always dynamic. London UK About Blog Mark Seymour is an award winning documentary street and wedding photographer, and Nikon UK ambassador. Facebook fans 4,584. Twitter followers 3,262. Virginia. About Blog Wedding and portrait photography by Natalie Gibbs, based in Christiansburg, Virginia. Calgary About Blog Welcome to NixonsCan, the blog of Dr. J. Ashley Nixon,documentary photographer, filmmaker, writer, university teacher, and consultant in sustainability. Staffordshire About Blog Jenny Harper is a Staffordshire wedding photographer and family portrait photographer specialising in candid documentary lifestyle photography. Facebook fans 1,322. Twitter followers 187. Facebook fans 1,981. Twitter followers 1,649. Redwood City, CA About Blog San Francisco Bay Area photographer. Honest, documentary photography that focuses on story and moments for passionate, down-to-earth people in love. Facebook fans 739. Twitter followers 429. Arizona About Blog Kate Densmore specializes in day in the life, documentary family photography in the Grand Canyon and destinations worldwide. Facebook fans 5,227. Twitter followers n/a. New Orleans, Louisiana About Blog Sam Gregory is a Louisiana based wedding photojournalist with over a decade of professional photography experience. Utilizing a professional yet relaxed approach, Sam works with each client to understand and meet their unique needs. His unobtrusive style captures the genuine spirit of your event to create long-lasting memories and photos that truly represent your special occasion. Facebook fans 158. Twitter followers 260. Los Angeles About Blog A Documentary family and portrait photography blog. I aim to capture the beauty and hilarity of life. I love COLOR! I love movement and magic moments. Portland, Oregon About Blog Portland, OR family and child photographer specializing in documentary and lifestyle photography for the modern family. Serving Portland Metro and surrounding areas. UK About Blog An artistic documentary wedding photography blog by Stanbury Photography. Facebook fans 872. Twitter followers 662. About Blog A Travel & Documentary Photography Blog by Frances Schwabenland. Vancouver About Blog This is my documentary photography journal where I share photographs and write about my wedding photography work, thoughts, contemplations, travels and other projects I'm working on. I love sharing stories through photography and shooting films. Facebook fans 155. Twitter followers 104. California About Blog Sonoma County Photographer Specializing in Documentary Photography for Children, High school Seniors, and Family. Viginia About Blog Documentary style photographer in Hampton Roads Virginia. About Blog Alex Coghe is a Writer and Documentary specialized in taking pictures with a straight approach and focused on documenting the human condition. Facebook fans 5,540. Twitter followers 1,767. San Francisco About Blog A Documentary Photography Blog. Toronto About Blog Wedding photography blog featuring documentary style wedding photography by Toronto wedding photographer Ally Ho. Facebook fans 622. Twitter followers n/a. Manchester About Blog Documentary Photographer based in Manchester, North West of England. About Blog Don Denton is an editorial and documentary photographer living on the western edge of Canada in Victoria, British Columbia, Canada. He makes a living photographing for newspapers, magazines and agencies. Sheffield, UK About Blog Darren O'Brien is a Documentary photographer based in Sheffield. Welcome to my blog, this is where I post random images, thoughts and musings on photography. This is kind of a diary and not all photos will be the end product. Its basically a dump for all my ideas and mental chatter. All opinions are my own and should usually be taken with a pinch of salt. About Blog A Documentary Photography Blog by Mick Yates. Facebook fans n/a. Twitter followers 4,413. 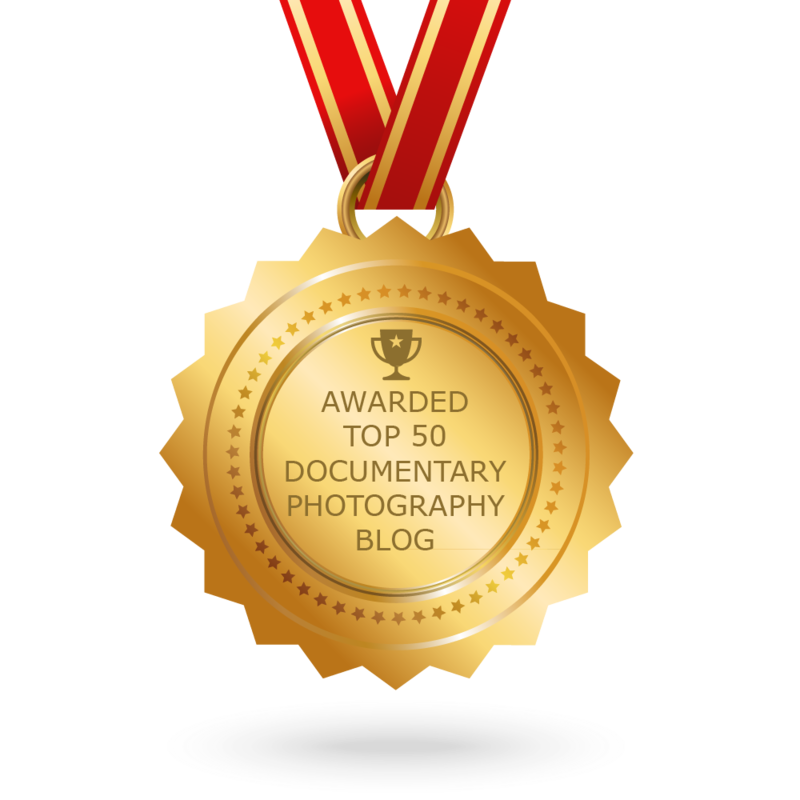 CONGRATULATIONS to every blogger that has made this Top Documentary Photography Blogs list! This is the most comprehensive list of best Documentary Photography blogs on the internet and I’m honoured to have you as part of this! I personally give you a high-five and want to thank you for your contribution to this world.